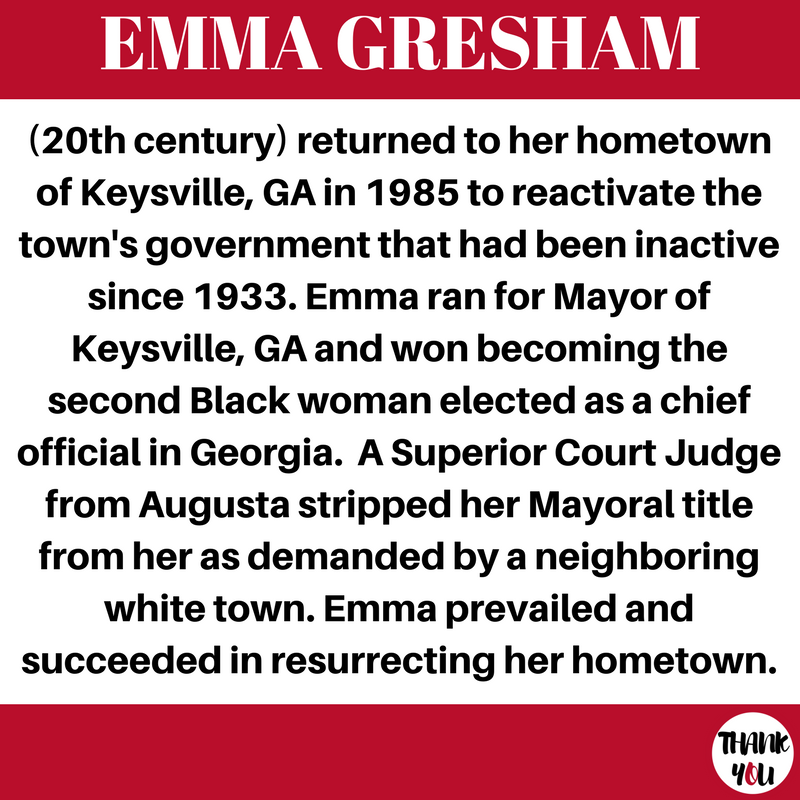 We recently stumbled upon a post about an awesome woman named Emma Gresham. We were so inspired by all that she accomplished in her lifetime that we knew we wanted to help share her story! Mayor Gresham was a great example to us all that we can surely be the change we wish to see in this world! let's say thank you to emma gresham!